Pakenham Trophies | Engraving, Giftware and more. are leading supplier of trophie, plaques, medals & other awards. From Sporting Trophies, Ribbons, Corporate Glass, Cystal Awards and a large range of giftware that we are sure will meet your requirements. Pakenham Trophies ensure our Customers receive the hightest of quality of service. We are a leading supplier of trophy, plaques, medals, and other awards. Located in Pakenham, Victoria, Australia we have a fantastic range that will allow you to celebrate and recognise any achievement. We also offer a comprehensive Computer, Laser and Hand engraving service. Pakenham Trophies has been providing trophies, plaques, badges, giftware, general signage and other memorials and markers of achievement for over 27 years, under the previous ownership of Graham and Lynne Squires. Laurie and Helen have now taken over the business and strive to maintain their high standards and add our own personal touches to the business. Our experienced team craft wonderful trophies that will surely be treasured by the recipients. 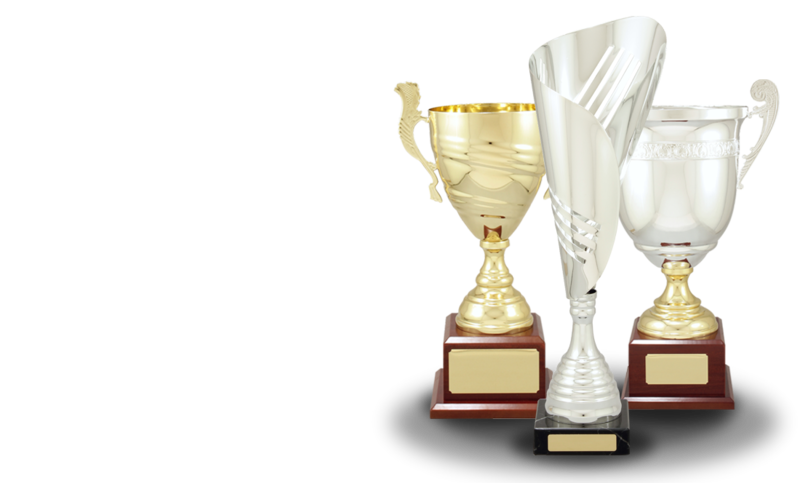 Our highly competitive pricing means that you can get all the trophies you require for your team without breaking the bank. You will be truly impressed with our everyday low prices. if you need advice, or a delicate ebgraving job, contact us today or drop in and see us in Pakenham. At Pakenham Trophies our awards are constructed and designed with care and expertise. If you can't find the perfect item to celebrate an achievement in our trophy store, we can custom-design and build a trophy for your requirements. We can add corporate or sporting club logos to any award, and other customisation options are available. Call us in Pakenham today and get great trophies and excellent service.